Scientific studies laud video games for the variety of real-world benefits they offer players, ranging from neurologically combatting depression to restructuring the way we think. When it comes to gender, though, we rarely hear good news; it’s easy to find discussions on the sexualization of female characters and the harassment faced by cosplayers who dress as these characters. But that doesn’t mean that there are only negative stories. Video games of varying genres shaped my childhood, but none more so than the Harvest Moon series – which (accidentally) introduced me to characters that broke the gender norms I’d come to accept as facts. Also known as Story of Seasons, Harvest Moon is a franchise built on a simple premise: your character has decided to revive a derelict farm. Your main goals consist of planting and watering crops, caring for livestock, and creating a life in your new town – a new life that can include pursuing a local bachelor/bachelorette. Friends of Mineral Town, the Game Boy Advance installment for the series, was released in 2003 and featured a male main character – there was no option to play as a female until the 2005 release of More Friends of Mineral Town – and despite the gender difference, I fell in love with the game and its concept. Cultivating farmland, raising animals, and interacting with townsfolk and learning their sometimes tragic backstories was incredibly fun. I bought multiple copies of the game so I could play through it over and over without deleting any old files. In my quest to experience every aspect of the game, I decided to pursue Ann, a tomboy with a passion for all things food-related. Though I’d interacted with her in previous run-throughs, I didn’t know what sort of gift she might like. Therefore, I reasoned, the most logical thing to do was give her flowers. How could I go wrong? All girls loved flowers. Except, apparently, Ann. Her response to flowers of any type was entirely neutral. What? How could I have gone wrong with a standard gift like flowers? In real life, I saw husbands buy flowers for their wives on holidays and birthdays. None of them responded as neutrally – and unexcitedly – as Ann had. Girls didn’t have to like flowers? My 10-year-old mind was completely blown. It opened up a new way of thinking for me – and a new way of understanding women. Harvest Moon wasn’t through breaking stereotypes, though. Let’s talk about Rick. He first appeared in Harvest Moon 64 in 1999, and then again in (More) Friends of Mineral Town. In the latter, he’s infamous for his bossiness, but back in HM64, Rick was an inventor, a minor side character relatively unimportant to the game. Let’s face it: graphics weren’t so great back then. Also, I was eight. Rick had long hair. And who did I know that had long hair? Girls. How did I justify the name “Rick” for a girl? I never once questioned it. Maybe it was one of those androgynous nicknames, like Pat. Or maybe the game’s translators goofed. Either way, I never doubted Rick’s gender. …Until I played Friends of Mineral Town a few years later and stumbled across a cut scene implying romantic feelings between Rick and a villager named Karen. Between that and the improved graphics, it hit me: Rick was a guy. A guy with long hair. Similar to the revelation I’d soon experience when trying to interact with Ann, the truth of Rick’s gender changed my perception of how men were “supposed” to style their hair. I’d never seen anything longer than a bowl cut on my friends and classmates in real life; it had never occurred to me that the world could be larger than that – that alternative hairstyles might exist as well as diverse interests that don’t always overlap with our gender’s stereotypes. Being different and breaking stereotypes is a-okay; I just needed a video game to present me with characters – mere pixels – that could show me a new way to think. 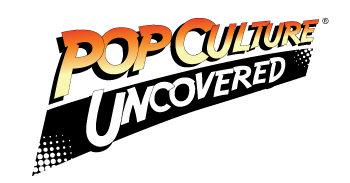 Check out my recent publication at Pop Culture Uncovered! Really interesting post about simple ways that a video game presented non-typical male and female characters to children. I like that it was nothing massive and drastic, I like when things like that are naturally added to something instead of forced just for the sake of it. I think this post is great because it finds the positive aspects that often times are overlooked. I love it!!!! Thank you! It’s such a fun game 🙂 I’ve played some of the Wii ones, and they were always awesome, though the GBA one holds a special place in my heart!